CE marked replacement wall ties for remedial lateral restraint. Thor Helical Retrofit CD Ties are one-piece stainless steel helical ties with a patented twist accuracy and have a circumscribed diameter of 9mm. Hammer-driven into small pilot holes, the remedial ties corkscrew into brick, block and concrete to deliver a mechanical fix that grips the wall on each side of the cavity. 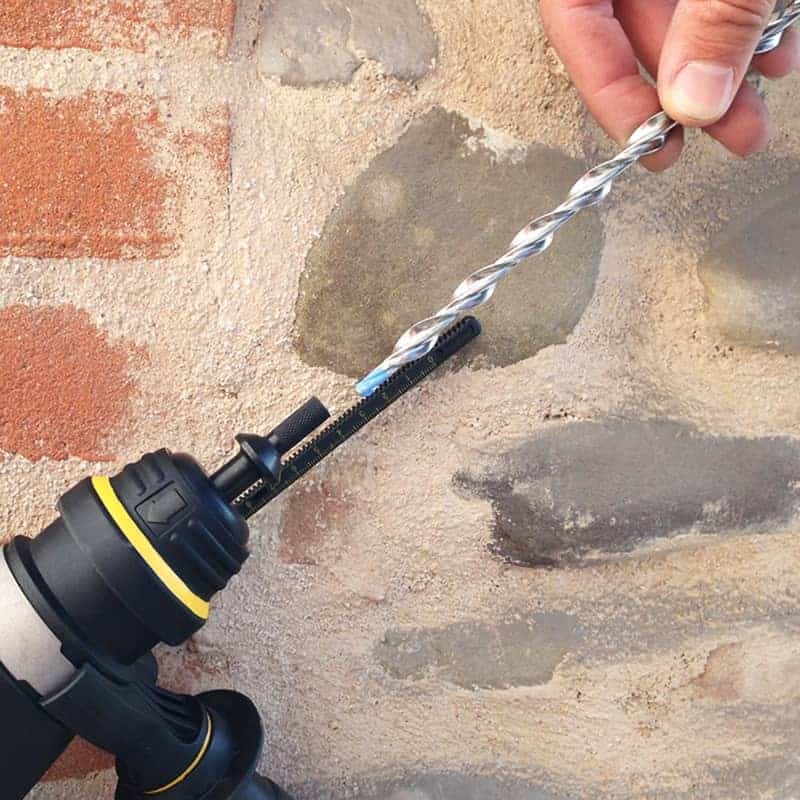 The threaded interlock connection of the self-tapping helical wall tie exerts no expansive stress into the brickwork and will not loosen with vibration, unlike ties that have expanding mechanisms and only deliver point loadings. The Thor Helical CD Tie system is patented across four Continents. The helical wall ties incorporating a unique driving shank that is engaged by a short SDS adaptor. This overcomes safety issues and difficulties in application that can be encountered by earlier systems which use cumbersome, costly and unreliable telescopic tools. Particularly useful where fire performance, low temperatures and material compatibility issues need to be overcome. N.B. 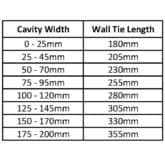 The tie-length guide above is based on traditional cavity walls with 110mm imperial bricks. Adjustments must be made for walls with 100mm metric bricks. 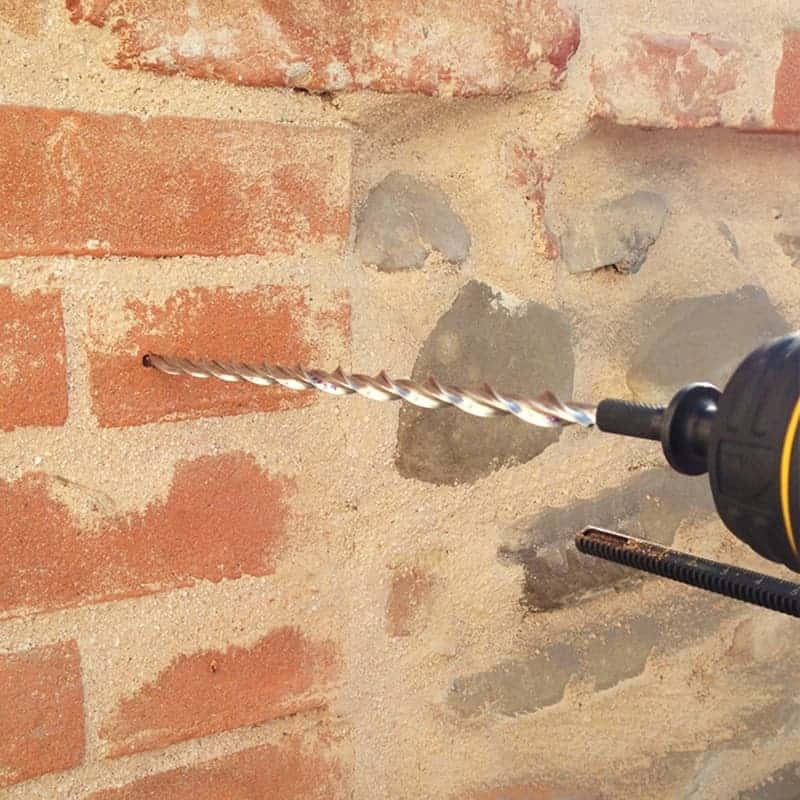 A Remedial Wall Tie Setting Tool – the tool spins around the end of the tie and delivers hammer blows to it. 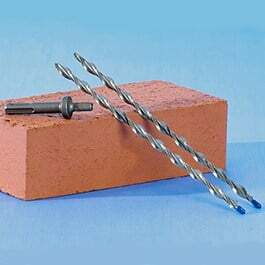 Our remedial wall ties are suitable for use in all wall types. Our 9mm remedial wall ties have European CE Mark Approval in respect of EN845-1:2013 for use in a wide variety of masonry materials. Ties are packed in bags of 50. BS EN 845-1:2013 National Annex NA states that the lateral needs to provide an equivalent performance to the prescriptive 30mm x 5mm straps and the tension straps should have a declared tensile load capacity of at least 8kN. 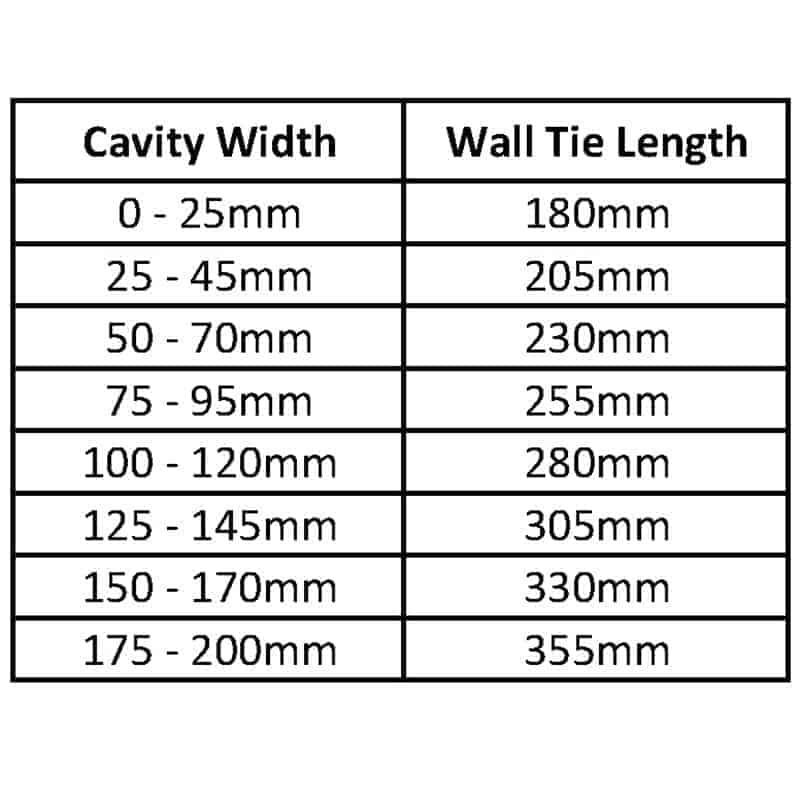 Ties are driven through a 215mm brick wall and into the end grain of a joist running perpendicular to the wall. To meet this standard for lateral restraint straps installers must use a pair of 9mm ties in each joist-end.